I was a Director in the Department of Energy and Climate Change when I first heard about the High Potential Secondment Programme which is managed by Civil Service Resourcing. This programme helps build commercial, leadership, project, programme and digital skills by spending time working in the private sector. The secondments are in challenging and interesting roles designed to stretch your skills. Private sector staff also spend time in the Service in reciprocal relationship. My own placement for the last 18 months was with the Co-operative Group. This was challenging in itself as the organisation was facing massive transformational - often headline-grabbing - change. I’ve learnt a lot about myself during this time, but I also got a sense of achievement from finding out how transferrable my skills are. In particular, the Major Project Leadership Academy training I took immediately before I joined was relevant and wholly applicable in the private as well as the public sector. I have a wider network to gather insights and perspectives from. This will help me work in more open and transparent way, as well as boosting engagement from Business in our shared objective of benefiting the economy and wider society. My secondment also reinforced one of the key tenets of the programme: we can learn a lot from spending time in the private sector. 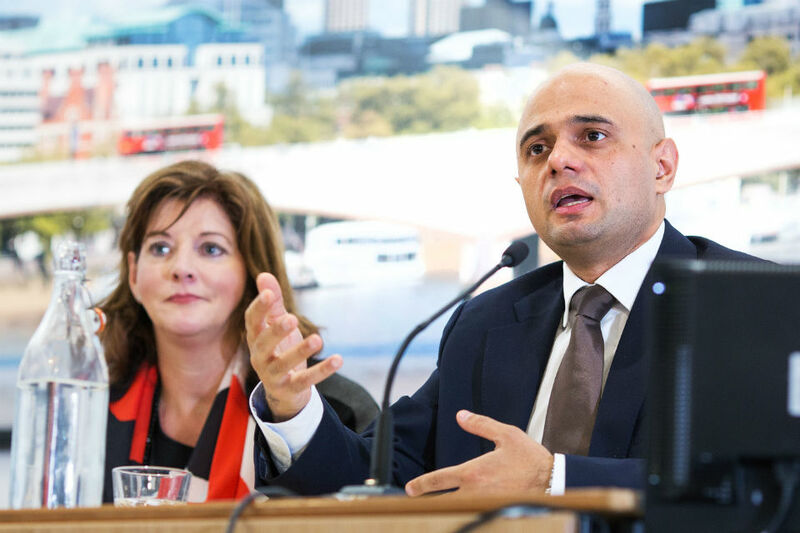 I recently took part in an event with the Secretary of State for Business, Innovation and Skills, the Rt Hon Sajid Javid, alongside my current boss, Richard Pennycook, CEO of the Co-operative Group and Bob Duff, Senior Vice-President of Jacobs Engineering Group. It was notable both the Secretary of State and the business leaders present all said one of the most important features of the scheme is that it fosters a better understanding how Government policy drives important decisions for businesses. It also highlights to the Civil Service the potential for unintended consequences of policy being developed without consultation with business. So at a time when we're looking to improve our commercial capabilities, and business is looking to boost productivity, the scheme offers real benefits. Both to each other’s understanding as well as developing skills in a very practical way. From my perspective as the CEO of the Co-op I can’t think of a better scheme than the High Potential Secondment Programme for making sure business and government are working together to create new opportunities, with such clear mutual benefits. Appreciating the various ways in which businesses are boosting Britain’s productivity through job creation and wider innovation is crucial if government policy is to be effective. Tracy. Fascinating to hear your views. It ought not to be that difficult in the future to apply our skills in different environments because quite apart from what you have learned I bet you have inspired some of your Co-op colleagues to think well beyond their normal horizons as well. We all know how safe it is to stay within our day to day boundaries but just how much more exciting and valuable it is to take a bit of a leap into the unknown!! !